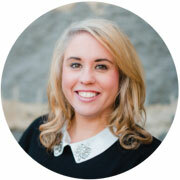 Stephanie is the Client and Operations Specialist for MCG Partners, a women-owned consultancy specializing in leadership and talent optimization. Stephanie supports our advisory and consulting services to provide best-in-class client support. She is responsible for assisting the operations team in ongoing client implementations and management. She assists in new client roll outs and manages the daily operational needs of the team. Stephanie is an energized and highly organized self-starter and multi-tasker, enabling her to focus on short and long-term projects. Stephanie is a customer service champion with over 15 years experience. As an Assistant Manager at BankNewport, she provided excellent customer service to her clients and exceptional sales training to her staff. She believes her one-on-one coaching drove her team’s performance and allowed her to share her love of uncovering and address client’s needs. Throughout Stephanie’s professional career at companies such as AIG, State Street and Harbor One, she has welcomed the opportunity to support internal teams in an effort to “give amazing customer service”. She brings these qualities to our clients. Stephanie holds a BA from Houghton College where she majored in Communications. She is a certified analyst in the Predictive Index® (PI®). When she and her husband Rich aren’t trying to keep up with their seven year old son she enjoys traveling with her family and working in their yard. She is a strong supporter of the March of Dimes organization and Ronald McDonald Charities.